George John Scipio Africanus is for nine to elevens/ Key Stage Two. The play is set in 1780s Wolverhampton, in the home of one of the town’s richest families, the Molineux family. This building, later known as the Molineux Hotel, is now houses the Wolverhampton City Archives. It is one of two short plays which were commissioned through MLA funding as part of a project to introduce primary school children to the work of Wolverhampton City Archives. George John Scipio Africanus was a real person, a black servant or slave of the Molineux family. The play is aimed at 9 to 11 year-olds. 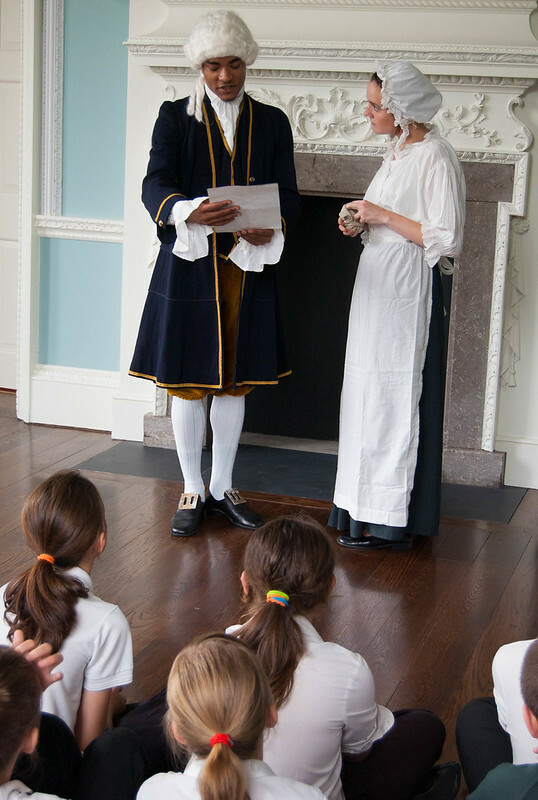 It dramatises George’s departure from Molineux House to become a brass founder in Nottingham, recalling his life as he bids farewell to Polly Povey, the household’s maid. The play was performed, with supporting one hour workshops, in the Rococo Room of the Molineux Hotel between 29th June 2009 and 5th July 2009. The research and professional cast and director were supported by the former Museums Libraries and Archives Council (MLA).